Place the oil in a pot over medium heat. Add the garlic and onions and sauté. Add the pasta rice and chicken stock and continue to cook while stirring occasionally. Cook until all liquid has been absorbed. Add the tomato puree, salt, pepper, olives, and chilli flakes. Cook over low heat for another 5-10 minutes. 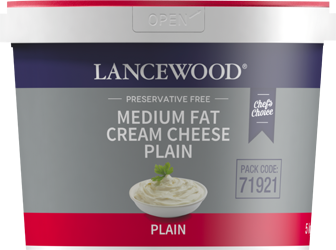 Stir in the LANCEWOOD® Medium Fat Plain Cream Cheese and cook until the cheese has melted. 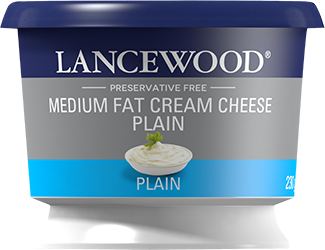 Serve with fresh parsley.